I’m one of those “weirdos” who still wears a watch even though Iv’e got a perfectly good cell phone in my pocket to tell me the time. What can I say, I still like watches and I don’t mind having to look and see where the little hand and the big hand are to see if I’m late for an appointment. However, I am very interested in all of the wearable tech, including watches, that seems to be heading our way. And that goes double for what Google announced this week. 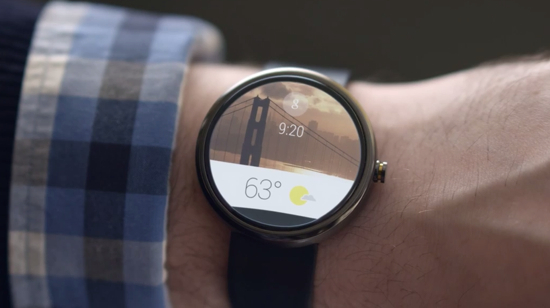 It’s a new SDK called Android Wear and damn if it doesn’t look pretty cool. It’s basically Google Now and provides you with information as you need it or as it happens in a card-style format. The company is starting with watches, but you can imagine other products not far behind. • Straight answers to spoken questions. Just say “Ok Google” to ask questions, like how many calories are in an avocado, what time your flight leaves, and the score of the game. Or say “Ok Google” to get stuff done, like calling a taxi, sending a text, making a restaurant reservation or setting an alarm. • The ability to better monitor your health and fitness. Hit your exercise goals with reminders and fitness summaries from Android Wear. Your favorite fitness apps can give you real-time speed, distance and time information on your wrist for your run, cycle or walk. • Your key to a multiscreen world. Android Wear lets you access and control other devices from your wrist. Just say “Ok Google” to fire up a music playlist on your phone, or cast your favorite movie to your TV. Google is already working with manufacturers Asus, HTC, LG, Motorola and Samsung, along with chip makers Broadcom, Imagination, Intel, Mediatek, and Qualcomm. Fossil may make the first watches available later this year. To see Android Wear in action, check out the videos after the break. Even though Google is pretty much the king of maps and traffic avoidance these days, it would seem the company wants to do it even better. So, with that in mind, today Google announced they are buying Waze, the GPS social traffic app that updates routes and drive information in real-time as users post updates. The app has voice navigation, shows community-contributed road alerts, learns from your frequently traveled routes, and can even find the cheapest gas station near you, all based on community interaction with other users. 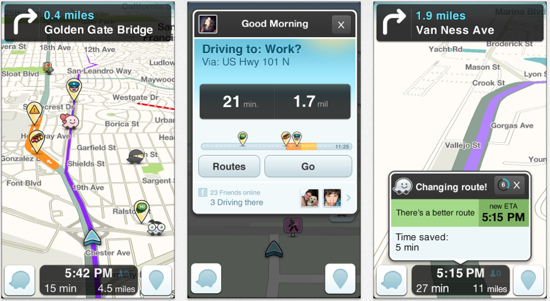 With over 10 million downloads via the Google Play store and at least as many in iTunes, Waze has quite a large user base. With this, Google is hoping to further improve the ability for its Maps app to help drivers avoid those pesky long commute times. Let’s hope they can. We, like everyone else in the world, hates traffic. Even though they denied its existence, it looks like HTC will release a ‘Nexus Experience’ version of their flagship HTC One device. The announcement and confirmation came today during the AllThingsD conference in Rancho Palos Verdes, CA. 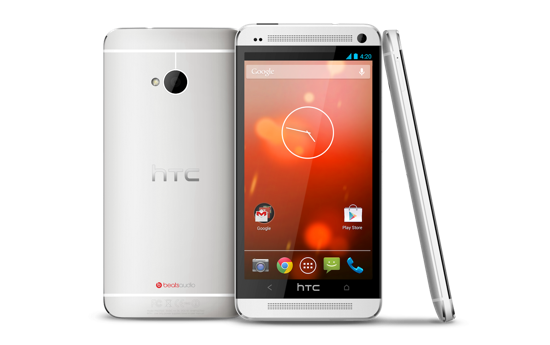 32GB of storage, running stock Android 4.2.2, runs on T-Mobile and AT&T LTE, $599 through Google Play, unlockable bootloader. 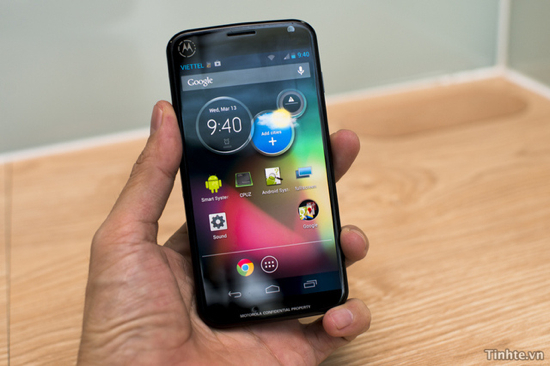 Now that’s a nice phone with great specs. So tempting. If you’re an Android fan, will this be your new phone or will it be the ‘Nexus Experience’ Samsung Galaxy S4? Are you a Gmail user? If you’re like most people, you probably are. In fact, you probably have multiple accounts that you check on a daily, hourly or even a minute by minute basis. Heck, we get it, you don’t want to miss anything important and Gmail is a great service. Well, good news because it seems Google understands. Or, at least they’re trying to by continuously updating and refining the Gmail experience both on the desktop and via their mobile apps to make it even better. 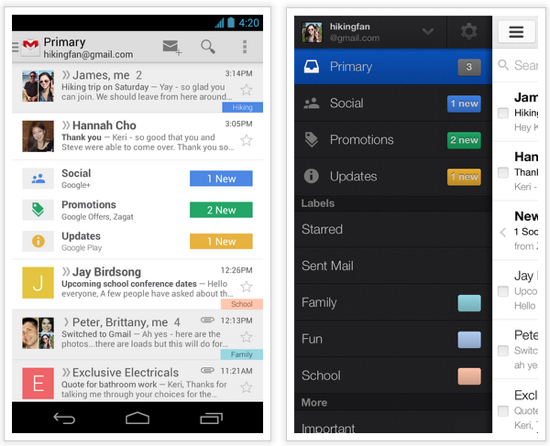 Continuing the trend this week, Google has announced they are updating Gmail yet again for Android, iOS and the desktop. This time, the update will include features designed to help users unclutter their inboxes and deal with email in a more efficient way. The redesign changes the layout of Gmail and separates messages into tabs. You can have up to five with each designed to group messages into categories that make it easier to process email. In addition to the main tab, which continues to be sorted by priority, the new tabs include social (messages from social networks like Facebook, Twitter, Google+, etc. ), promotions (for Groupon, LivingSocial, etc. ), updates (for confirmations, receipts, bills, etc.) and forums (messages from discussion boards, mailing lists, etc.). This has been a pretty big week for Google. They’ve announced quite a few new applications, feature enhancements and more during the Google I/O conference going on right now in San Francisco. One of the new applications announced is called Hangouts, which seeks to unify the company’s existing chat and video services. The application was released for Gmail, Android, iOS and Chrome, and it supports Google Talk, Google+ Hangouts and Google Messenger. This will be the final addition that will make this app a worth competitor to Apple’s iMessage or other services like WhatsApp or the upcoming Messenger from Blackberry. As far as online payment services go, if you want to send money to someone, you’re pretty much stuck using Paypal. Not because it’s a great service (ask anyone who’s ever needed support or had to dispute an arbitrary Paypal decision) but because there’s pretty much no other choice. Well, that’s not good enough. We like competition and we think competition is good. Enter Google. Today at their I/O conference Google announced a new featuring coming to its existing Google Wallet and Gmail services. That feature? Payments. 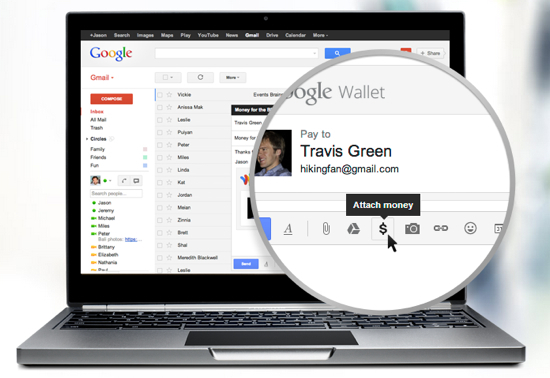 Put simply, once this feature goes live, you will be able to send and receive money via your Gmail account. During a keynote presentation for Google I/O at San Francisco’s Moscone Center this morning, Google announced several new services and technologies including a new music service called Google Play Music “All Access” and a pure Android Samsung Galaxy S4 smartphone. 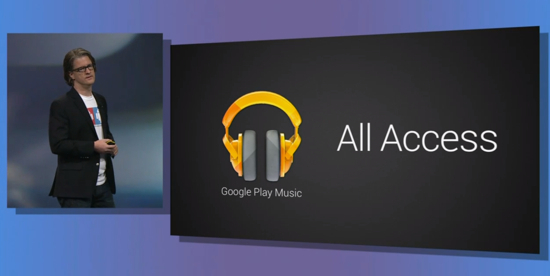 Google Play Music “All Access” gives users the ability to search through Google’s huge amount of songs and the ability to play them instantly. An all new UI allows you to swipe away songs if you don’t want them and the ability to make radio stations instantly based on one song. The price of this new streaming service is $9.99 per month, but everyone gets a 30 free trial. If you are an early adopter and sign up before June however, your price is only $7.99 per month. The device will launch June 26 on Google Play for $649. Yeah, that’s a bit steep. Although, they’ll probably sell a ton of ’em. Even though Google occasionally does things people don’t like (killing Google Reader comes to mind), they stil offer a host of great services that millions of people rely on each and every day. 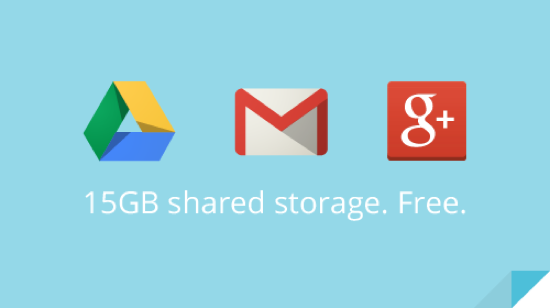 Last year, Google launched Google Drive, storage for your data in the cloud. One thing that was odd about the service was how items and the storage in your Google Drive was separate from what you had in Gmail and in Google+. However, that’s all going to change as of today as Google announced that they are combining all the separate storage space and making it into one complete storage solution. All Google users now have a free 15GB of storage space across the three applications and Google Apps users will receive 30GB of space. Google has also launched a new page to help you keep track of all your storage and what you’re suing it for. A pie chart will show you just how much space you are using in each app and how much that eats into your overall space. The options to upgrade to more storage are the same as they have always been, so if you see that you need more you can purchase it right there. This change will be rolling out over the next couple of weeks. Well, well, how things are changing. Not to be left behind as the paradigm shifts from traditional cable and satellite networks towards what paid subscription services like Apple, Hulu and Netflix are doing, YouTube today announced the first channels that it will offer via monthly subscriptions. Following a 14-day free trial period, channels such as Sesame Street, Baby First Plus, Cars.tv, HD Net, Coreman’s Drive-In and UFC Select will be available for monthly fees raging from $2.99/Month to as little as $.99/Month. Payment will be accepted via credit card or Google Wallet. According to the announcement, some of the programs will feature ads, but a majority won’t, with most of the content being available as on-demand. Google will reportedly collect about 45% of the subscription ad revenue. While this list of channels and programming is not that extensive yet, Google expects other channels and networks to launch subscription services on YouTube soon and will roll them out over the coming months. For the full list of content available now, go here. With the current amount and diversity of content, it will be very interesting to see if people actually decide to subscribe to some of these channels or wait until there’s more to choose from. Will this development end up being the digital straw that breaks the virtual camels back and starts the mass exodus from more traditional cable and satellite providers? It just might be. Is This Google’s New X Phone? Even though a majority of us here at The Flickcast use smartphones made by Apple, that doesn’t mean we only care about iOS or things from Cupertino. We also like Android quite a bit too. And when a new smartphone is reportedly ready to be announced by Google itself, we pay particular attention. That phone is the much-discussed “X Phone.” And now we’ve got a picture (or two) of it, curtesy of gadget blog Tinthe.tn, so you can see exactly what it’s all about. From the pics we can say that the device does look a lot like other Android smartphones, particularly those from Samsung. Not that that’s a bad thing. In addition to the pics, there’s also info about the internals of the device.